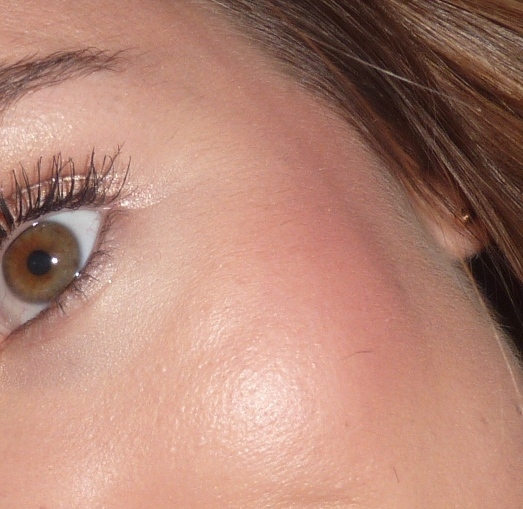 I’m developing quite a love affair for blushers. For years I was safe in the comfort of my regulars (Soft, safe pinks) but after I bought Mac’sMighty Aprodite blush duo (from the Wonderwoman collection) I discovered a whole new world of shades I’d never tried, and really suited. Blushers are pretty amazing, they have the abily to completely transform your look, and when you find a shade that’s just right for you skin tone – well, it’s pretty damn rewarding… cue Mac’s Margin. 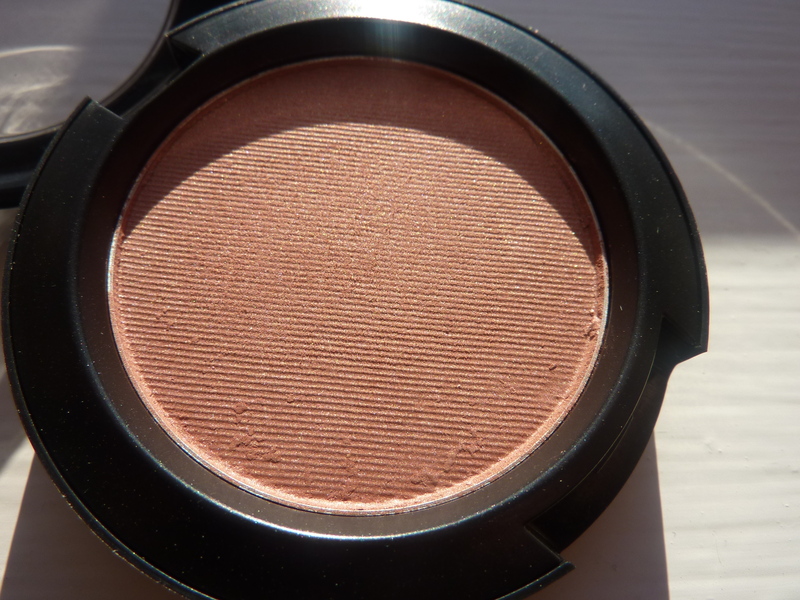 My new blush hero, and an unassuming one at that. Don’t be fooled by margin’s appearance, it’s nothing special in the pan, you probably wouldn’t give it a second glance, I know I didn’t, but once applied it’s GORGEOUS! It’s name probably doesn’t help much – it’s hardly alluring like Dolly Mix or Ladyblush! In the pan I’d describe it as a dirty peach – again doesn’t sound good does it! 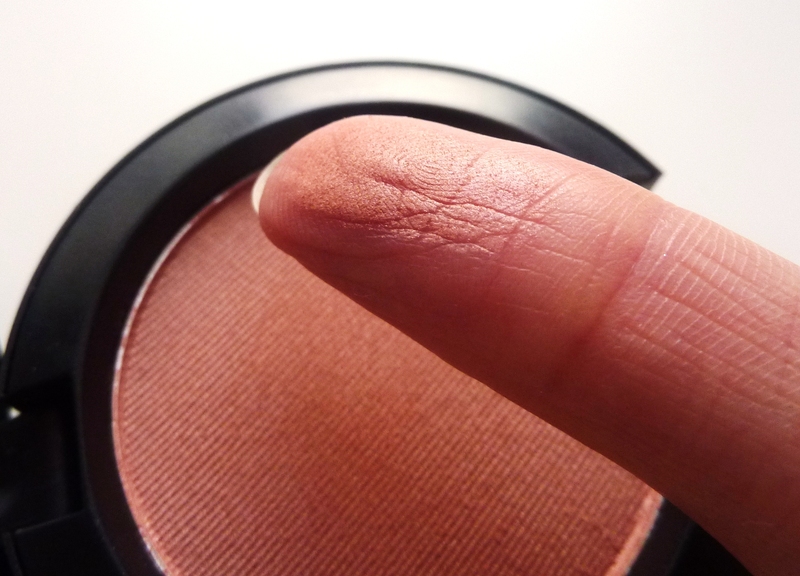 On the face it’s more of a bronzy peach with a hint of berriness and a touch of shimmer. It instantly brightens up my face. It’s very flattering and works really well on my skin tone (NC25-30 if that helps). The finish is a Frost. 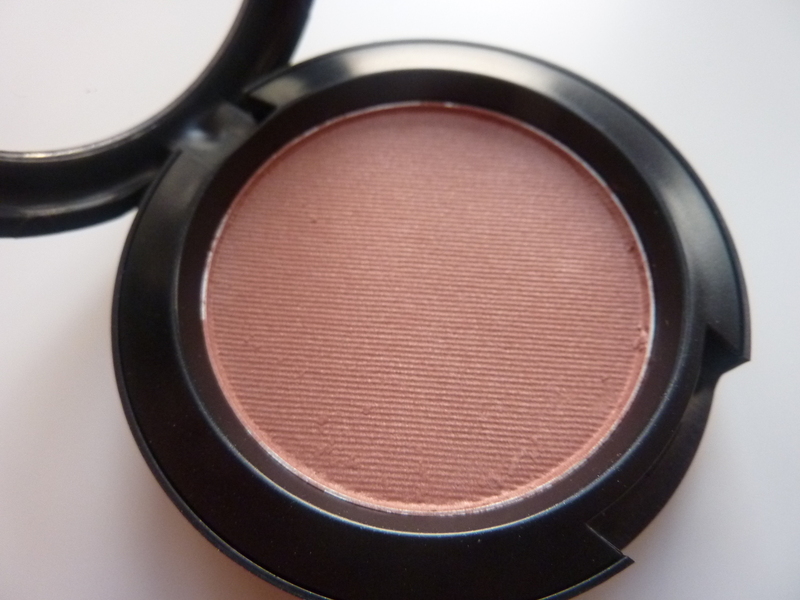 Just in case you don’t know, Mac powder blushes come in 5 finishes – Matte, Sheertone , Satin , Sheertone Shimer, Frost. The finish on Margin is incredible. Although a powder blush, it’s not at all POWDERY. The texture is creamy, all most butter like – I think it’s more of a forst/satin hybrid. It applies like a dream and imparts a fresh glow that lasts all day. I think I actually look like I’m wearing a creamy blusher, but unlike cream it’s simple to apply and allows you to be more directional. Margin – Fast becoming my favourite everyday blush. This entry was posted in Blush, Face, Mac, Review, Uncategorized and tagged Beauty Blog, Best Blushers for glowy cheeks, bronze, Bronze Blush, Caked in Make up, Face, Frost, Mac, Margin, Mighty Aphrodite, Powder Blush, Review, Satin, Swatch, Wonder Woman by cakedinmakeup. Bookmark the permalink.